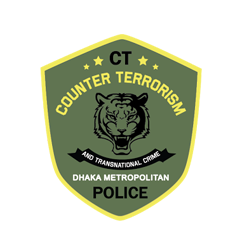 The Police Headquarters located at 6 phoenix road, Dhaka is considered as the central-command unit as well as nerve center of Bangladesh Police. From and through this office, all the administrative and operational instructions relating to law and orders and forces management are directed to the field level police units. This office comprises of several wings & branches such as Administration, Operations, Crime Management, Finance & Budget, Discipline & Professional Standard, Community Policing, Establishment, NCB, ICT & Telecom, Welfare& Pension, Training & Sports, Estate & Revenue, Development, Logistics, Equipment, MT & PLO, Planning & Research, UN Desk, Recruitment Manpower & Training, Media & Public Relations, Legal Cell and so on. Responsible officer of the concern wing/branch performs his/her assigned tasks under the leadership and command of the Inspector General of Police. This establishment stands as a hub or focal point for the high level police personnel who formulate policies, directives and operational mechanism with a view to control crime, maintain order and ensure peace all over the country. Therefore, this Police Headquarters bears a prodigious value to all the police officials working every nook and corner in the country. 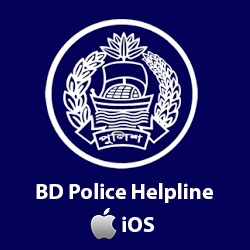 Until 1993, Bangladesh Police, like today’s Police Headquarters, did not have any of its own office premises from where police administrative and operational functions could be monitored centrally. 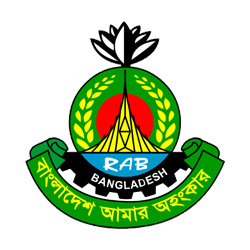 The then, the activities of Police Headquarters/Directorate were usually administered from Bangladesh secretariat. In course of time, the decision to establish a separate Police Headquarters building was firstly taken in the year of 1986. As a consequence, 4.00 acres of land adjacent to Fulbaria rail station area were sanctioned by the authority and the foundation stone was laid in the same year with a view to establish a headquarters building for Bangladesh Police. At that time, to expedite the establishment work of Police Headquarters, a development proposal of 4 storied facilities building along with a 20 storied building was approved by the ECNEC. Initially, the construction work of 4 storied building was completed by 1993 and later on, the building was inaugurated on 8th June in the same year. 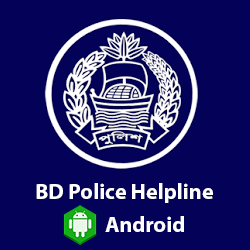 During the period of 1993-2005, police functions in Bangladesh have been extended according to the demand of time and necessity and consequentially, the manpower in the Police Headquarters also has almost doubled. Therefore, Police Headquarters faces difficulties in accommodating this increased manpower in this existing establishment. Considering the situation, the decision to construct a new high-rise 20 storied building at the back of existing Police Headquarters was taken on the basis of previously aforementioned proposal. After having completed all the administrative formalities and received approval of the proposal from ECNEC in 2009, the construction work of new multi-storied building named National Crime Control and Operation Monitoring Center (NCCOM) was started in that year with aspirations to provide better working environment for the police officials as well as ensure effective crime control monitoring strategy nationwide. On 15 September, 2013, this new aesthetically built NCCOM Center was inaugurated by the Honorable Prime Minister Sheikh Hasina. Its a 7 storied building with 2 basements and gradually will be extended up to 20 storied. This new building along with present Headquarters building have started functioning as the central command and control center of Bangladesh Police.